patent for 3D printing metal using machine learning. build time, and faster time to launch. almost 5x since March, from 14 to 64 full time employees in under a year. to flight in less than 60 days with unparalleled iteration speed. Mark Cuban. 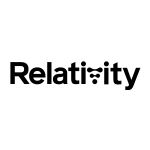 For more information, please visit https://www.relativityspace.com/.